Accumulating evidence suggests that in children and adolescents, home blood pressure (BP) monitoring is useful for out-of-office BP evaluation. Home BP monitoring has advantages similar to ambulatory monitoring, by offering multiple measurements in the individual’s usual environment, which avoid the white-coat and masked hypertension phenomena and are more reproducible than the conventional office measurements. Home BP appears to have similar diagnostic value in children as in adults and might be a useful alternative to ambulatory monitoring in detecting white-coat and masked hypertension. In children and adolescents, home BP is lower than daytime ambulatory BP (in contrast to adults who have similar levels) and is higher than office BP in younger children but with progressive elimination of the latter difference with increasing age. Home BP monitoring is feasible in most children and has relatively low cost. Obtaining duplicate, morning and evening, BP measurements for 6–7 days is currently recommended for optimal home BP assessment, with a minimum of 3 days considered acceptable. Electronic arm-cuff devices which have been validated specifically in children should be used with the appropriate sized cuff. Normalcy data for home BP in children have been provided by a school-based study. Data on its relationship with target-organ damage are scarce, yet promising. 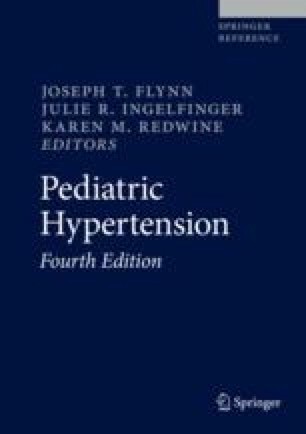 Home BP monitoring has considerable potential for improving the care of children with hypertension.